The WiFLY NE1 Battery from ADJ is the DMX controller you’ve been waiting for; a real game changer and the most universally-accessible ever. Offering you a versatile DMX control solution, the WiFLY NE1 Battery is equipped with a built-in FX generator, for both LED and Moving Lights, and WiFLY transmitter, making it compatible with a range of fixtures from ADJ’s WiFLY series. Along with wireless DMX transmission, the WiFLY NE1 also has a 3-pin DMX output for fixtures without wireless DMX. The built-in battery within the ADJ WiFLY NE1 controller lasts up to 10 hours. There’s a reason ADJ named this user-friendly controller the WiFLY NE1 Battery, and that’s because it really can be used by just about “anyone” – no matter what your level of experience or knowledge of the DMX protocol. 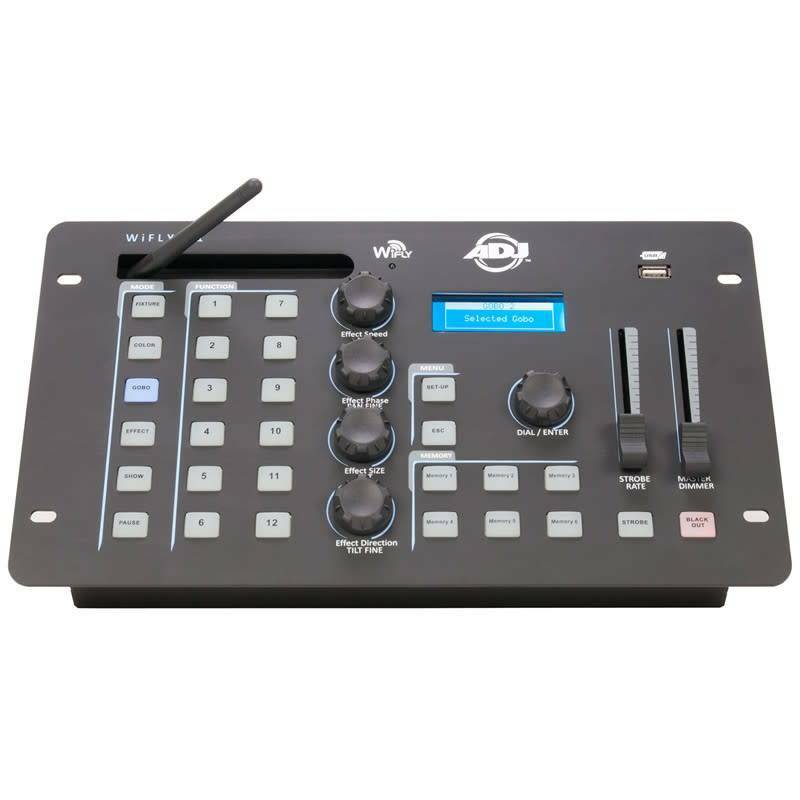 Because the compact controller simplifies each element, giving you the features of a larger, more powerful controller laid out in a convenient, user-intuitive way, a basic grasp of DMX is all that you need.